Prime Minister Netanyahu says he hopes to reach a deal with the United States on long-term military aid to Israel within a few weeks. 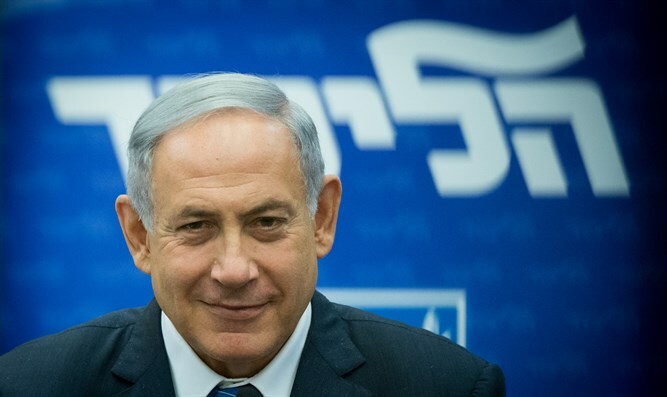 Prime Minister Binyamin Netanyahu said on Monday that he hopes to close ongoing talks and reach a deal with the United States concerning long-term military aid to Israel in the coming weeks, Haaretz reported. Addressing Knesset members during the local version of Question Time, the prime minister said that "I hope that within a few weeks, we will close the agreement on defense aid with the United States." Netanyahu's assessment was more optimistic than that of Defense Minister Avigdor Liberman, who earlier on Monday, speaking before the Knesset Foreign Affairs and Defense Committee, said he believes that Israel and the United States will wrap up negotiations on long-term future American military aid by Rosh Hashanah, which this year begins on October 2. Liberman's comments were reported to Haaretz by two Knesset members who attended the meeting but asked not to be identified. The Knesset members noted that Liberman made the comments twice in the course of the committee session, and that he also said that both Israel and the United States have the interest and the desire to sign the military assistance agreement while President Barack Obama, who finishes his term on January 20 of next year, is still in office. Liberman also noted that there is still disagreement between the two countries regarding various provisions but he said he believes they will be resolved within the next two months, according to Haaretz. The primary disagreement, he said, relates to the Americans' demand to modify the agreement now in force that permits the Israeli Defense Ministry and the Israel Defense Forces to spend close to 40 percent of annual U.S. aid on the purchase of equipment from Israeli defense industries and for fuel. The Americans contend that the current agreement no longer serves the interests of the two countries, claiming that it makes improper and inefficient use of the financial assistance. According to the officials who spoke to Haaretz, Liberman said that in practice Israel is reconciled to the change requested by the Americans, but is interested in implementing it on a gradual basis. "It's an accomplished fact, but we are trying to explain to our American friends that an immediate halt to the existing arrangement would severely harm [Israel's] military industries," the two Knesset members quoted Liberman as saying. "The large industries like Rafael [Advanced Defense Systems] and [Israel] Military Industries will survive, but the smaller industries won't survive. It's not possible within a year to halt the existing arrangement. We want a period of time that allows us to prepare … seven or eight years." The negotiations on the military assistance pact beyond the end of 2018 have been the subject of negotiations between the two countries since November of last year. The Israeli team is being headed by acting national security adviser Jacob Nagel while the U.S. team is headed by Yael Lempert, who holds the "Israel portfolio" at the White House. The national security adviser at the White House, Susan Rice, is overseeing the process and is also taking an active part in the talks, noted Haaretz. Another subject over which there is disagreement between the two countries relates to financing for Israel's anti-missile defense program. Up to now, every year, Israel has submitted a request to the U.S. administration and to Congress for funding for the development of anti-missile defense systems such as Iron Dome. Every year negotiations have been held at the end of which the White House and Congress would come to a sum that was acceptable to both sides and which was then sent to Israel. In the course of the new negotiations on a new U.S. military assistance pact, the American administration asked that the procedure be changed, seeking to include the anti-missile program funding into the regular military assistance budget. The administration demanded that in return Israel commit no longer to act on a parallel track vis-à-vis Congress, attempting to increase the anti-missile assistance. Israel had reservations over the demand, and it is not yet clear if and how the matter will be resolved, noted Haaretz.